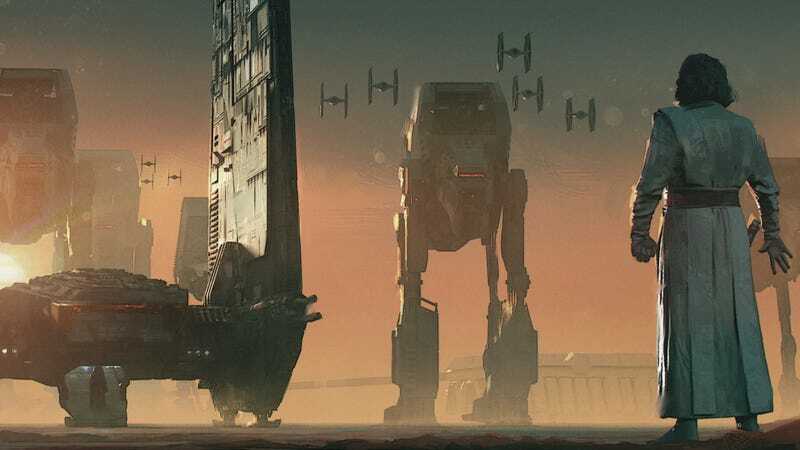 Concept art by James Cline of Luke showing down with the First Order in The Last Jedi. Image: All Images: Lucasfilm Ltd. & TM., All Rights Reserved. Yoda appears by Seth Engstrom. The sacred tree burns by Seth Engstrom. 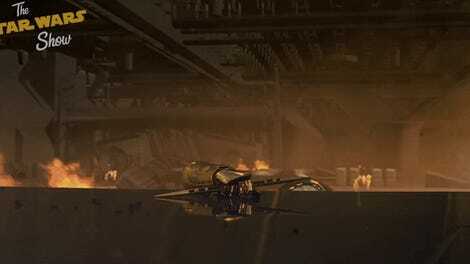 The aftermath of Holdo’s sacrifice by Kev Jenkins. Luke vs. the First Order by James Clyne. Luke survives by Kev Jenkins. Kylo Ren faces his uncle on Crait by Kev Jenkins. Any one of those images would make a beautiful addition to your wall but, when you’re making Star Wars movies, they’re merely used to inform the visuals. Still, these are jaw-dropping works of art that help us appreciate just how good some people are creating, and keeping secrets. Star Wars: The Last Jedi is now available on Digital HD and arrives on Blu-ray and 4K March 27th. You Did Hear There Was a New Star Wars Movie, Right?